From Mad in Asia, a new interview series. 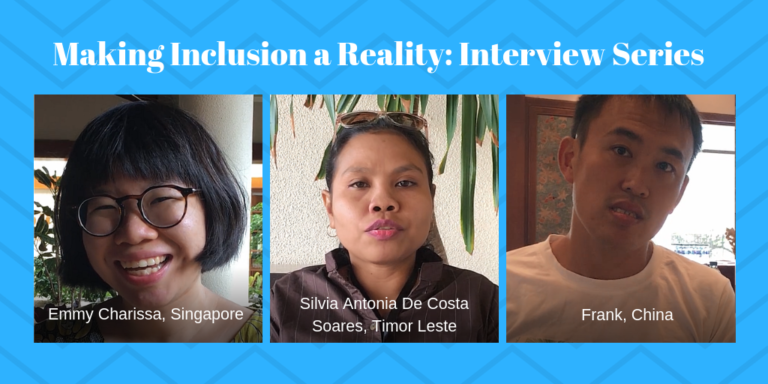 Moving away from the biomedical and institutionalisation model, persons with psychosocial disabilities everywhere have demonstrated that there are better alternatives to inclusion of people with disabilities within their community. From creating spaces for alternate ways of recovery, using traditional methods of healing to stressing on compliance with Convention on the Rights of Persons with Disabilities (CRPD) at country level and building coalitions with other groups, persons with disabilities in Asia Pacific region are striving to make inclusion a reality within their contexts.